Please come join me on Saturday, July 13th, at 1:00 and at 2:00, for guided tours of the butterfly gardens I designed for the Gloucester HarborWalk. The guided tour is included in the cost of the ticket for the Gloucester Garden Tour. Please feel free to email me with any questions about the butterfly garden tour at the HarborWalk at kimsmithdesigns@hotmail.com. One of my favorites, and in bloom now at the Gloucester HarborWalk Gardens, is the stunning North American native wildflower Culver’s Root or Veronicastrum virginicum. The plant typically grows to five feet and, when in flower, creates a lovely, airy candelabrum effect. Culver’s Root prefers full sun and moist well-drained soil. 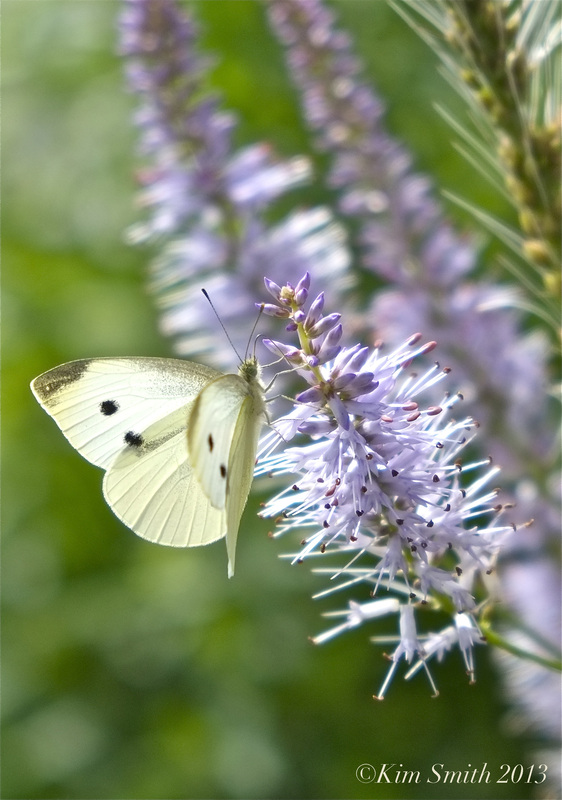 When I was there checking on the gardens several days ago all manner of bees and butterflies were nectaring from the diminutive florets of the spikey racemes of the Veronicastrum. This entry was posted in Bees, Creating a Butterfly Garden, Events and Appearances, Native Plants, North Shore Boston, Wildflowers and tagged Creating a Butterfly Garden, Culver's Root, Gloucester Garden Tour, HarborWalk Gardens, Kim Smith, Veronicastrum virginicum on July 6, 2013 by Kim Smith.